Inclusive and Sustainable Development (Report for the UNDP/Government of Pakistan completed in 2017). Dr. Akmal Hussain has a B.A. honours and M.A. degrees from the University of Cambridge and a Doctorate in Economics from the University of Sussex. He is currently Distinguished Professor and Dean, School of Social Sciences and Humanities, Information Technology University, Lahore, and Co-chair, South Asia Centre for Policy Studies. He has contributed papers as a panelist at conferences across the world, including Harvard University, Society for International Development, Rome and the UNDP. He has also done research for the World Bank and the ILO. 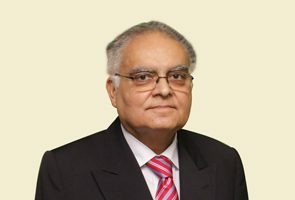 He has advised governments in Pakistan on economic policy at the highest level as an independent economist during the period 1989 to 2001 and later in 2010-11. He has also contributed to policy discussions at Wilton Park UK and at consultative forums organized by the governments of the Netherlands and Japan respectively. More recently he has contributed to the international deliberations organized by the UNDP in Bonn, on sustainable development goals, which contributed to the drafting of the SDGs document. He helped build organizations aimed at poverty alleviation and development at the village, district, national and regional levels. He was principal author of the UNDP Pakistan National Human Development Report 2003 and more recently the UNDP Report on Inclusive and Sustainable Development 2017. He has authored/co-authored 41 other books on Development. Akmal Hussain, Capitalism, Consciousness and Development, chapter in, Ananya Ghosh Dastidar, Rajeev Malhotra and Vivek Suneja (eds. ), Development Policy in a Globalized World: Recent Trends, Theories and Lessons, Routledge, 2018. Akmal Hussain (Principal Author), Inclusive and Sustainable Development: Analytical Basis and Policy Framework, UNDP Pakistan Report, Islamabad, 2017. Akmal Hussain, Report of the Sub-Committee on Small Farmers Development Corporation, Agriculture Commission Punjab, 2017. Akmal Hussain, South Asian Cooperation: Towards a Humane World, Chapter in Rajiv Kumar and Omita Goyal (eds. ), Thirty Years of SAARC: Society, Culture and Development, Sage Publications India, New Delhi, 2016. Akmal Hussain, Sustainable Development, Equity and Violence, Development Advocate Pakistan, Volume 2, Issue 4, December 2015, UNDP, Islamabad, 2015. Akmal Hussain, Fulfilling the Pakistan Vision of Quaid-i-Azam, The Pakistan Development Review (PDR), Papers and Proceedings, Parts I and II, Volume 54, Number 4, Pakistan Institute of Development Economics (PIDE), Islamabad, Winter 2015. Akmal Hussain, The Planet in Peril and a Civilization in Crisis: Reviving a Sense of the Sacred, chapter in, The Sacredness of Creation: Spiritual Responsibility of Muslims and Christians to Care for Our Common Home – Planet Earth, Christian W. Troll and Liam O’Callaghan (ed. ), Multimedia Affairs, Lahore, 2015. Akmal Hussain and Muchkund Dubey (eds. ), Democracy, Sustainable Development and Peace: New Perspectives on South Asia, Oxford University Press, New Delhi, 2014. Akmal Hussain, The Eternal In the Ephemeral, Photographs by Akmal Hussain, Topical Printers, Lahore, 2014. Report presented as Chairman of the Working Group on Poverty Reduction Strategy and Human Resource Development for the Tenth Five Year Plan, Planning Commission, Government of Pakistan, Islamabad, January 2010. MARQUIS WHO'S WHO IN THE WORLD 1989, 1990, 1991-92. MEN OF ACHIEVEMENT 1990-91, AND INTERNATIONAL WHO'S WHO OF INTELLECTUALS 1992, PUBLISHED BY INTERNATIONAL BIOGRAPHICAL CENTRE, CAMBRIDGE, ENGLAND. AWARD OF APPRECIATION BY THE INSTITUTE OF POLICY STUDIES (IPS) FOR VALUED CONTRIBUTION TO THE 6TH SOUTH ASIA ECONOMIC SUMMIT, 2-4 SEPTEMBER 2013, COLOMBO, SRI LANKA. Chairman, UNDP Advisory Council on Inclusive and Sustainable Development. Co-Chair person, South Asia Centre for Policy Studies (SACEPS).